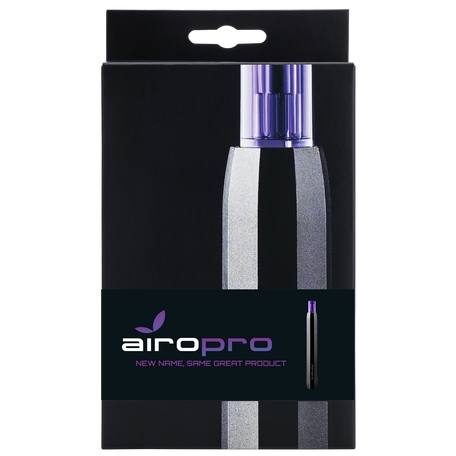 Sign Up for free to save time shopping AiroPro's wholesale products on LeafLink. 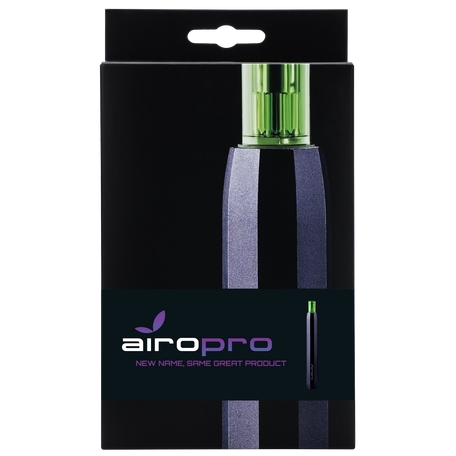 AiroPro’s Advanced Vapor System provides a smooth, easy draw that vibrates discretely to let you know it’s working. This innovative ceramic atomizer cartridge technology features the purest cannabis nectar, CO2-extracted from The Farm’s craft cannabis in Boulder, Colorado. AiroPro’s innovative Live Resin Sativa 500 mg ceramic cartridges are pre-filled with pure live resin oil derived from fresh frozen flower grown in living soil. AiroPro’s innovative Buddha's Smile 500 mg ceramic cartridges are pre-filled with high CBD, naturally flavored artisanal CO2-extracted oil, created with the finest craft cannabis from The Farm in Boulder, Colorado. AiroPro’s innovative Harmonia 500 mg ceramic cartridges are pre-filled with high CBD artisanal CO2-extracted oil, created with the finest craft cannabis from The Farm in Boulder, Colorado. 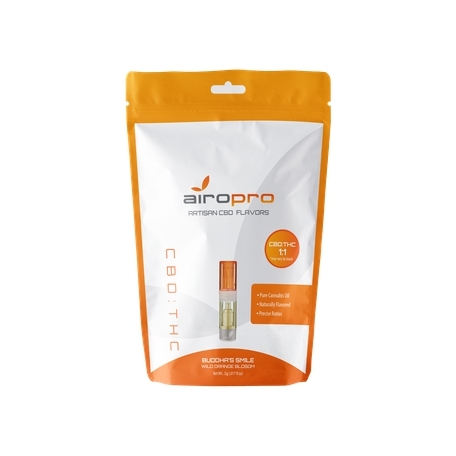 AiroPro’s innovative Hybrid 500 mg ceramic cartridges are pre-filled with high-potency artisanal CO2-extracted hybrid oil, created with the finest craft cannabis from The Farm in Boulder, Colorado. AiroPro’s innovative Indica 500 mg ceramic cartridges are pre-filled with high-potency artisanal CO2-extracted indica oil, created with the finest craft cannabis from The Farm in Boulder, Colorado. 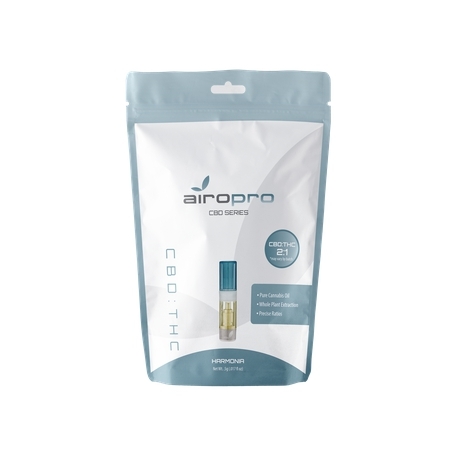 AiroPro’s innovative Sativa 500 mg ceramic cartridges are pre-filled with high-potency artisanal CO2-extracted sativa oil, created with the finest craft cannabis from The Farm in Boulder, Colorado. 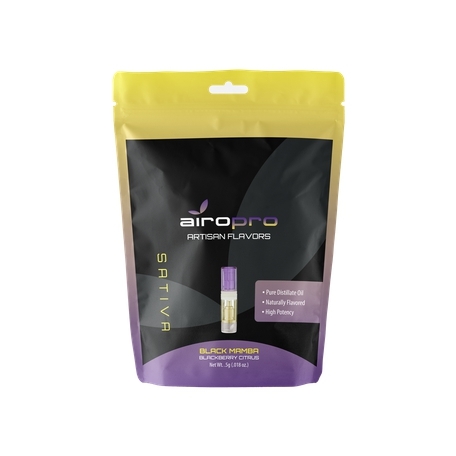 AiroPro’s innovative Black Mamba Sativa 500 mg ceramic cartridges are pre-filled with high-potency, naturally-flavored pure distillate sativa oil. AiroPro’s innovative Midnight Moon Indica 500 mg ceramic cartridges are pre-filled with high-potency, naturally-flavored pure distillate indica oil. 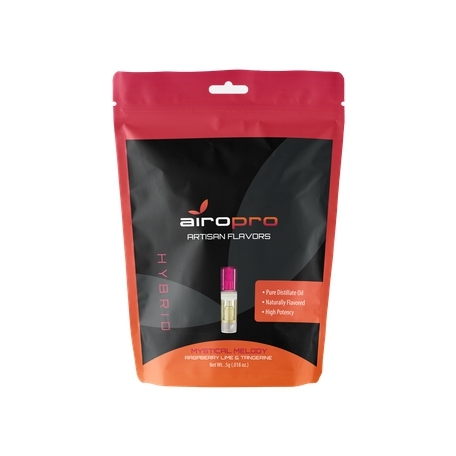 AiroPro’s innovative Mountain Mist Hybrid 500 mg ceramic cartridges are pre-filled with high-potency, naturally-flavored pure distillate hybrid oil. AiroPro’s innovative Mystical Melody Hybrid 500 mg ceramic cartridges are pre-filled with high-potency, naturally-flavored pure distillate hybrid oil. 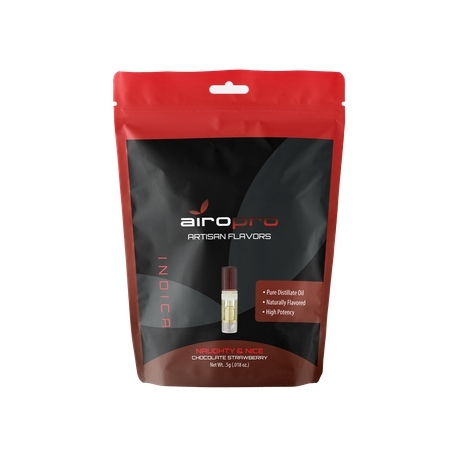 AiroPro’s innovative Naughty & Nice Indica 500 mg ceramic cartridges are pre-filled with high-potency, naturally-flavored pure distillate indica oil. AiroPro’s innovative Night Rider Indica 500 mg ceramic cartridges are pre-filled with high-potency, naturally-flavored pure distillate indica oil. AiroPro’s innovative Oz's Orchard Sativa 500 mg ceramic cartridges are pre-filled with high-potency, naturally-flavored pure distillate sativa oil. AiroPro’s innovative Sumatran Sunrise Sativa 500 mg ceramic cartridges are pre-filled with high-potency, naturally-flavored pure distillate sativa oil. 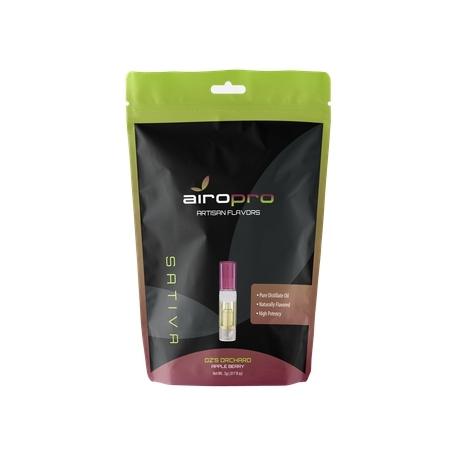 AiroPro’s innovative Berry Gelato Indica 500 mg ceramic cartridges are pre-filled with high-potency pure distillate indica oil. AiroPro’s innovative Blue Dream Hybrid 500 mg ceramic cartridges are pre-filled with high-potency pure distillate hybrid oil. AiroPro’s innovative Bubba Kush Indica 500 mg ceramic cartridges are pre-filled with high-potency pure distillate indica oil. AiroPro’s innovative Green Crush Sativa 500 mg ceramic cartridges are pre-filled with high-potency pure distillate sativa oil. AiroPro’s innovative GSC Hybrid 500 mg ceramic cartridges are pre-filled with high-potency pure distillate hybrid oil. AiroPro’s innovative Jack Herer Sativa 500 mg ceramic cartridges are pre-filled with high-potency pure distillate sativa oil. AiroPro’s innovative Northern Lights Indica 500 mg ceramic cartridges are pre-filled with high-potency pure distillate indica oil. 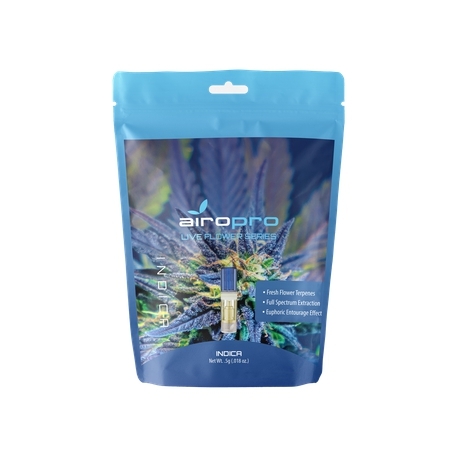 AiroPro’s innovative Sour Diesel Sativa 500 mg ceramic cartridges are pre-filled with high-potency pure distillate sativa oil. AiroPro’s innovative Strawberry Banana Indica 500 mg ceramic cartridges are pre-filled with high-potency pure distillate indica oil. Evolab’s award-winning Alchemy oil is now available in AiroPro cartridges. Alchemy is the first vape oil with the full effects of your favorite strain due to Evolab’s proprietary full spectrum CO2 extraction process. Alchemy keeps winning award after award for its flavor and potency. But more importantly, it’s won a large following of people who truly know cannabis. People who want the best and don’t mind paying for it. Now they can enjoy it even more with AiroPro’s Advanced Vapor System. 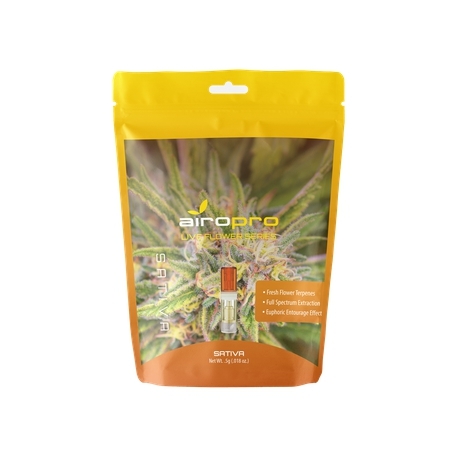 AiroPro’s innovative Live Flower Hybrid 500 mg ceramic cartridges are pre-filled with pure distillate oil and cannabis derived terpenes from ultra-premium fresh flower grown in living soil. 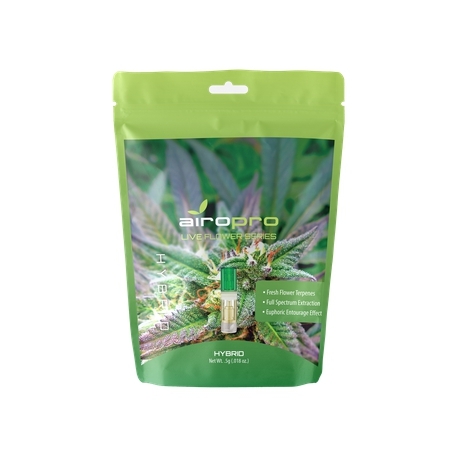 AiroPro’s innovative Live Flower Indica 500 mg ceramic cartridges are pre-filled with pure distillate oil and cannabis derived terpenes from ultra-premium fresh flower grown in living soil. AiroPro’s innovative Live Flower Sativa 500 mg ceramic cartridges are pre-filled with pure distillate oil and cannabis derived terpenes from ultra-premium fresh flower grown in living soil. 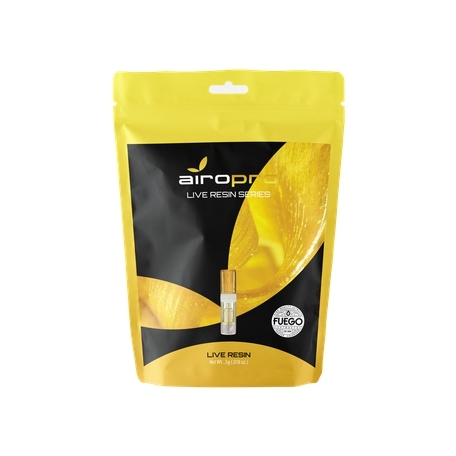 AiroPro’s innovative Live Resin Hybrid 500 mg ceramic cartridges are pre-filled with pure live resin oil derived from fresh frozen flower grown in living soil. AiroPro’s innovative Live Resin Indica 500 mg ceramic cartridges are pre-filled with pure live resin oil derived from fresh frozen flower grown in living soil. AiroPro’s innovative Live Resin Hybrid 500 mg ceramic cartridges are pre-filled with live resin oil derived from fresh frozen Farm Craft Cannabis flower. AiroPro’s innovative Live Resin Indica 500 mg ceramic cartridges are pre-filled with live resin oil derived from fresh frozen Farm Craft Cannabis flower. AiroPro’s innovative Live Resin Sativa 500 mg ceramic cartridges are pre-filled with live resin oil derived from fresh frozen Farm Craft Cannabis flower. Device Specifications: Durable, virtually-unbreakable magnesium alloy body and long-lasting 320mAh Li-ion battery provides clean vapor with no burnt taste; 8.5 W power output, 300mA (1.5W) charging current; Micro USB rechargeable. This includes: Graphite Vaporizer, Carrying Case, Micro USB Charger, & User Guide. This includes: Indigo Vaporizer, Carrying Case, Micro USB Charger, & User Guide.